I liked it’s location and was well equipped , it had secure parking and shared use of a pool, but I didn’t use either. 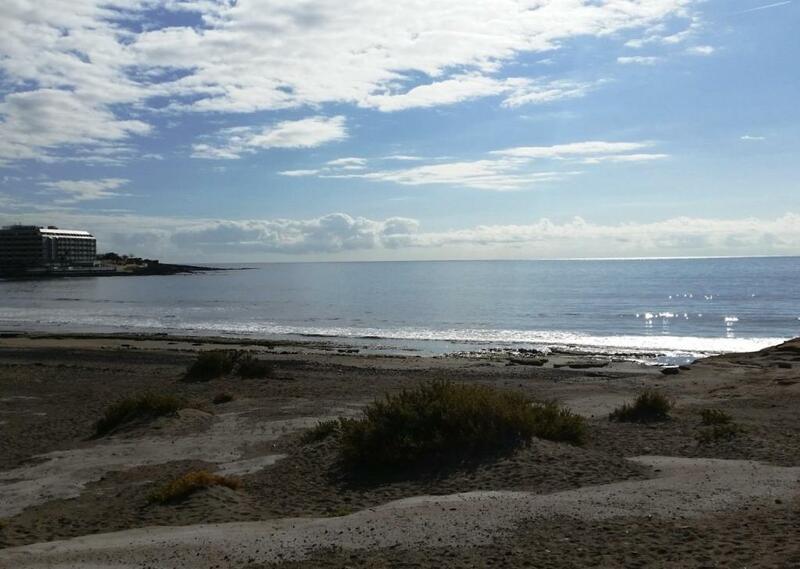 Great location, perfect place for our needs, good cooking facilities, great local eateries excellent beach nearby. Very helpful owner. You can't go wrong staying here. the house was fully furnished, with kitchen tools, towels and bed sheets. Perfectly located in the center of El Médano. The apartment met our expectations, it is good value for money. It is clean, fully equiped and in really good location close to city center and near Playa del Cabazo, famous windsurfing spot. Great contact with the owner. 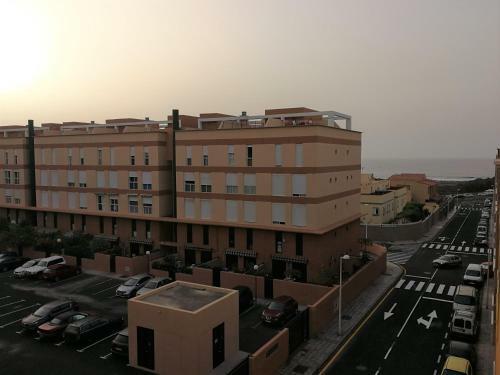 Everything was perfect, we loved that Apartment and we will come back if we are in tenerife again! Apartment was very nice and clean in good location. Special thanks to Daniel, he was very helpful and reasonable. It's perfect apartment for holidays. It has everything for your comfort. Good WIFI. Near the beach. Daniel ( the owner) very good man . Thank you for everything, it was the best holidays !!! It's perfect place for staying on holidays, there was everything you may need. Close to the beach and city center. Уютная квартира со спальней и отлично оборудованной кухонной зоной. Есть всё, что нужно, и даже больше: отличная плита, чайник, микроволновка, тостер, кофемашина. Спальня с удобной кроватью и прекрасными подушками. Очень ценно - место на подземной парковке. Расположение прекрасное: море рядом, супермаркет в 4 мин. ходьбы, лёгкий выезд на основные магистрали. Это квартира, в которой можно с уютом жить. Lock in a great price for El Medano, Cabezo beach, pool & parking – rated 9 by recent guests! One of our top picks in El Médano.Located in El Médano, El Medano, Cabezo beach, pool & parking provides accommodations with a private pool and free WiFi. Guests can go for a swim in the outdoor pool. If you would like to discover the area, cycling, fishing and hiking are possible nearby and Lagos de Miramar III 2 can arrange a bicycle rental service. Playa de las Americas is 14 miles from the accommodation, while Los Cristianos is 14 miles away. The nearest airport is Tenerife Sur Airport, 5 miles from El Medano, Cabezo beach, pool & parking. This property also has one of the top-rated locations in El Médano! Guests are happier about it compared to other properties in the area. This property is also rated for the best value in El Médano! Guests are getting more for their money when compared to other properties in this city. When would you like to stay at El Medano, Cabezo beach, pool & parking? House Rules El Medano, Cabezo beach, pool & parking takes special requests – add in the next step! Please inform El Medano, Cabezo beach, pool & parking of your expected arrival time in advance. You can use the Special Requests box when booking, or contact the property directly using the contact details in your confirmation. Booking.com Reminding my self about Booking.com service makes me sick, they destroyed two days of our stay at this place. On first day we were informed that we have to pay additional fee for cleaning. When I sended my confirmation to booking (where was no additional fee), I received reply from booking with link to my reservation where was an additional fee. Three times they send me same information (like Mantra). Emailing did not bring any reasonable solution, so I had to call to call center. After many minutes which I had to wait for available consultant I received reasonable answer that my confirmation is not include any extra fees and they will check it. On the end I received email with confirmation that they made mistake and I did not have to pay any extra fees (second day of battle). In summary, booking.com staff showed complete lack of professionalism, at all costs they try to charge me an imaginary fee.